1. a) What is the role of the National Security Advisor? b) Who is the current National Security Advisor? 2. What is the Trump administration’s new strategy on relations with the African continent, according to Mr. Bolton? 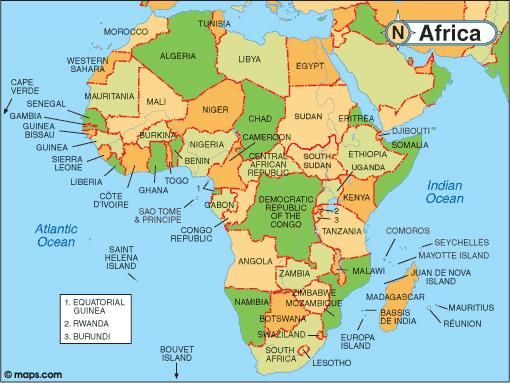 3. a) What is the aim of the policy shift on Africa? b) What did Mr. Bolton accuse Russia and China of doing? Be specific. 4. How are African officials reacting to the Trump administration’s policy shift on Africa? 5. a) How much aid has the U.S. given to Africa in the past two years? b) What did Mr. Bolton point out about this, and the many more billions of U.S. tax dollars given to African countries in previous years? 6. How WON'T United States taxpayer dollars be used in Africa going forward?